Phase 3 is next. 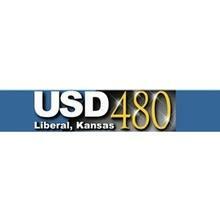 The USD 480 board met for a special session Monday and approved phase 3 of the bond project. Phase 3 includes renovation of former West Middle School to become part of LHS and converting Cottonwood and Sunflower intermediate to be elementary schools next fall. The bond is $7,252,450.00. Contractor JE Dunn expects the project to be completed by summer and be ready for next school year in late August. There has been some work going on at West but that has been primarily asbestos removal to this point. The board also approved installation of additional lockers for Eisenhower Middle School and Seymour Rogers Middle School. That will cost $100,216 out of the bond. The lockers will be installed in time for next school year in August of 2017.